In 1992, I was working for an advertising industry trade magazine. One aspect of that job was appearing on a monthly cable TV business show to review commercial campaigns. This was a glamorous leap for me, who had never been in the public eye before. After I had been doing this for a few months, a friend called to say he had seen me on TV. He sounded quite impressed. I heard myself say to him, “I know, can you imagine? A little nothing nobody like me?” We had a big laugh together. Afterwards, I chastised myself for saying I was “a little nothing nobody.” It was a time in my life when I was building up my self-esteem and I didn’t want to be self-critical. Yet, oddly, calling myself “a little nothing nobody” felt very good. There was a freedom and humility in it that was so relaxing and liberating. Even though I focused my attention, at that time, on building my self-esteem, for some reason I never forgot this phrase, “a little nothing nobody” and the quiet joy it delivered. This remembering is the memory of God within. We all have it; you just need to pay attention to inner messages and subtle cues that remind you of what you already know: You are not a body. You are free. For you are still as God created you. 30 Jul 2014 Comments Off on Is An Obsession with God Healthy? Is An Obsession with God Healthy? About 15 years ago, I realized that I was “obsessed with God.” It was a healthy obsession which grew out of my immersion in A Course in Miracles. God was in my thoughts day and night. I looked “normal” and behaved “normally” but I was no longer alone in my thought process. God was constantly with “me.” Trust grew. Fear lessened. Miracles and blessings occurred daily. I went through several periods of disorientation as my personal identity was uprooted but remained completely functional. My personality still threw ego thoughts at “me” but interest in them waned as surrender to the Creator prevailed. In other words, the personality and its demands became less and less riveting as God illuminated my mind. This undoing process continues to this day. I highly recommend the God obsession. Many people are afraid that an obsession with God means they are having a break wi th reality or will turn into a monk or nun. It’s the opposite. A healthy obsession with God returns you to your right mind which puts you on the path to Reality. And most people are not called to celibacy or a life of solitude, although if you are, it will be perfect for you. The key element to a healthy obsession is tuning in to your Internal Teacher. A Course in Miracles calls the Internal Teacher the Holy Spirit. It goes by many names and can be found on countless spiritual paths. Eventually the Internal Teacher makes Itself obsolete, as “you” disappear back into the nothingness from which you came, and Truth Presides. 28 Jul 2014 Comments Off on Why Attend “A Present Love”? Why Attend “A Present Love”? As soon as you sign up, you have begun to reap the benefits of the conference! This is because you have put your willingness into action. You have planted the seed of awakening. Your miracles begin here and multiply endlessly through you (even if it seems as though nothing is happening). In my experience, signing up for conferences, workshops, retreats, intensives and other spiritual events has been a big opening for my healing and unlearning. There is every reason for A Present Love to be that opportunity for you. Let’s transform Independence Day, the July 4th holiday, into a mystical holy day by looking closely at what Jesus calls “independence” in A Course in Miracles. He says that it is a declaration of independence, and that we will find it very helpful if we understand it fully. Here’s my translation for fuller understanding: The Kingdom is our true Home. At Home we are all joined in one perfect, formless union. We are perfectly protected at Home because as the Oneness we really are, there is nobody to attack, threaten or endanger anybody else. The ego cannot defeat God’s Kingdom because the ego is a figment of our imagination, while our Home shines timelessly with absolute loving light. And so it is! Jesus also clarifies that the Bible says, “The Kingdom of Heaven is within you” but it should be, “The Kingdom of Heaven is you.” In Chapter 5, we learn, “God is not in you in a literal sense; you are part of Him.” Reminding ourselves that we are the Kingdom of Heaven helps us dis-identify as individual people and reconnect with Spirit. Effortlessly, we rise above the battleground of the world. Transcending the human identity doesn’t require a fight–just a change of mind. This change of mind is affirmed in Lesson 31, “I am not the victim of the world I see” which explains that this idea is “the introduction to your declaration of release.” As you grasp that you are not the victim of the world you see, you “remind yourself that you are making a declaration of independence in the name of your own freedom. And in your freedom lies the freedom of the world.” At first, this seems unrealistic, but with practice, miracles shift your perception from person to Presence. Another way of understanding this is that Jesus was able to lead because he was following the guidance of the Holy Spirit. As Lesson 169 puts it, “The Son of God has merely disappeared into his Father, as his Father has in him. The world has never been at all. Eternity remains a constant state.” The ego wants to be a self-governing entity, but the truth is, God “has included you in His Autonomy” and that is true freedom. Happy Independence Day, Mighty Companions! Most ACIM students get tangled up with the wordiness of the Text at times. I have to admit that although the Course can be considered a sacred tome, living prayer, and mythic poetry, that I’m not a big fan of Shakespearean verse (as you may know, one of the miracles of ACIM is much of it is written in iambic pentameter, the meter Shakespeare used when writing plays). Sometimes I’ve found it helpful to switch to another teaching in order to get the most out of A Course in Miracles. Usually it is yoga. Yoga introduced me to mantras, chanting and japa–the repetition of a mantra silently or aloud, by saying it, singing it, and, if you like, using prayer beads. 2) Faith. When you are willing to repeat a mantra without translating it, you let go of control. The faith that you demonstrate by releasing the ego’s instrument of language and opening your mind to Spirit reinforces your inner conviction that you are, indeed, a conduit for miracles. In the Manual for Teachers, we are told that, gradually, we learn to use words in a new way–by letting the Holy Spirit choose them for us. Mantra helps unlock a mental assumption we carry unconsciously–that we need words to communicate–and puts us back in touch with our Presence. 3) Relief. The ego is a mechanism of addiction and obsession. The bottom line addiction we all suffer from is obsessional thinking. When we allow the Holy Spirit to guide us, repetition of a mantra is a huge relief from ruminating endlessly about our worries, resentments, fears, regrets and sorrows. 4) Simplicity. All that’s required is to repeat a phrase. 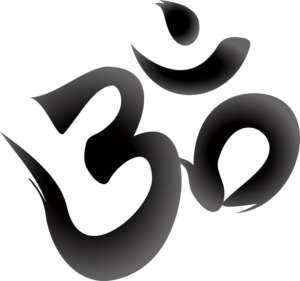 I’m going to offer you the very simple, tried and true mantra: Om Namah Shivaya. It is pronounced the way it looks–just sound it out. Don’t be concerned with mispronunciation; there is a saying that God listens to you chant as a parent hears a baby’s first words–full of delight at whatever comes out. You can keep them short but sweet–and often that has the most pure power. But, you can also combine some of your favorites. For years I’ve strung together quotes from the Course, “This holy instant would I give to You. Be You be in charge, God. For I would follow You, certain that Your direction gives me peace” with “I am not a body. I am free. For I am still as God created me” with “I am Spirit” and then added whatever my internal Teacher offers, such as, “I am infinite. I am eternal. I am formless. I am. Beingness.” Trust your inner Teacher and let His words pop into your mind and out of your mouth. You will find that they are Perfect for you. Did you know that A Course in Miracles is a gentle alarm clock for a part of your mind which has deliberately hypnotized itself into a deep, deep sleep? This sleeping part of your mind is called the ego. But you are not the ego. You are God’s ever-present, never-sleeping Child. When I began studying A Course in Miracles, I had no idea I was sleeping. Even though it said over and over that we are dreaming, it took years to filter through my many layers of unconscious denial and blossom into right-minded comprehension. In the meantime, like most ACIM students, I was approaching the Course as a person, and applying its forgiveness practice to my relationships. As I willingly chose to give all my relationships and self-concepts to the Holy Spirit, He stripped me down to practically nothing … and I found myself at a crossroads: to continue believing I was a person, or to awaken to the truth that I was not a body, I was free, I was still as God created me. Ego doubt whispered that this kind of freedom was out of reach, that only saints and avatars reached Self-realization. “Sure,” it said, “Dedicated yogis, Indian sadhus and Tibetan monks have a small chance of awakening. But you? Ha ha ha ha ha!” Yet Jesus kept explaining that I was already awake, and the only reason I didn’t know this was due to my own active interference with that Knowledge. The wonderful thing about willingness is that it snowballs into full faith. The ego could roar menacingly, whisper sweetly, and laugh demonically, but it could no longer convince me that its dream was Reality. I want you to be this clear and certain, too. Let’s take a moment together, right now, to absorb this truth. You are awake. You are God’s Creation. You are Beingness Being Itself, right now. This only seems far-fetched and impossible to “reach” when you actively resist Knowing your True Identity. Let’s face it. The real reason we actively resist is not fear. It is that we want to play God. There is nothing wrong with this. But as we all find out sooner or later, playing ego god is a very painful choice. “Tolerance for pain may be high, but it is not without limit. Eventually everyone begins to recognize, however dimly, that there must be another way. As this recognition becomes more firmly established, it becomes a turning point.” (T-2.III.3:5-7) Hopefully, this essay activates your turning point. What a comfort to have Jesus tell us, “You are not yet awake, but you can learn how to awaken.” And then he holds your hand every step of the way. Every lesson in the Workbook gives you a daily instruction. Chapter 30 guides you with Rules for Decision. The Manual for Teachers devotes section 16 to how you should spend your day. And all the pages in between are overflowing with the Holy Spirit’s Direction. Make no mistake. You can learn through the ACIM unlearning process if you so choose. and this Truth can spontaneously arise in you right now! If you need help practicing the Workbook lessons from A Course in Miracles, sign up for my online class, Workin’ the Workbook. My book, Sweet Dreams of Awakening, helps you use your sleeping hours for awakening. Atonement is an essential topic in A Course in Miracles. Over the years, I’ve compiled a list of references to the Atonement in order to clarify it in my own mind. They are in no particular order, but I did try to keep them short so the point would hit home 🙂 For longer explanations, read Chapter 2 and Chapter 9. Enjoy! “If the way seems long, let him be content. He has decided on the direction he wants to take. What more was asked of him? And having done what was required, would God withhold the rest?” ~M-22. How Are Healing and Atonement Related? C-Intro: This is not a course in philosophical speculation, nor is it concerned with precise terminology. It is concerned only with Atonement, or the correction of perception. The means of the Atonement is forgiveness. The sole responsibility for God’s teacher is to accept the Atonement for himself. Atonement means correction, or the undoing of errors. ~Manual for Teachers, 18. How Is Correction Made? Miracle Principle #26: Miracles represent freedom from fear. “Atoning” means “undoing.” The undoing of fear is an essential part of the Atonement value of miracles. Jesus says in Chapter 1, “I am in charge of the process of Atonement, which I undertook to begin.” Read III. Atonement and Miracles for complete version. People like to break the word “Atonement” into “at one ment,” but Ken Wapnick always protests strongly against this. His reasoning is that when we accept the Atonement for ourselves, we reach a state of at One ment which is the Unity of God’s Mind. In the meantime, Atonement is a tool and a reminder that Christianity distorted this idea and turned Atonement (and salvation) into punitive devices. Under the Holy Spirit’s guidance, we use Atonement as a loving Correction, the one “defense” that never harms because it is the Love principle–the reminder that the ego dream of separation has never actually occurred. 20 Apr 2014 Comments Off on What Is Easter, Really? Easter, according to A Course in Miracles, is a purification of our thoughts. Not in a sinful, guilty, watch-what-you-think way, but as a way to clear your mind. In ACIM, Jesus offers us a mind training, which is another way of saying purification. Miracle principle #7 states, “Miracles are everyone’s right, but purification is necessary first.” Purification, in the Course, is a synonym for forgiveness. When we practice forgiveness, we discover that the Holy Spirit removes “all faith that you have placed in pain, disaster, suffering and loss. He gives you vision which can look beyond these grim appearances, and can behold the gentle face of Christ in all of them.” The gentle face of Christ is “the great symbol of forgiveness.” (C-3.4:5) “Seeing” the face of Christ has to do with insight, not eyesight. It is spiritual vision–the recognition that within, under and behind every form in the world of form lies formless Truth. 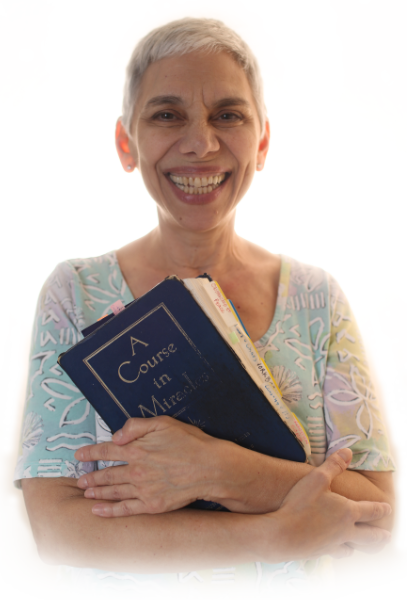 Last but not least, let’s be clear that ACIM is a mind training–not brainwashing–program. We chose to dream a dream of bodies and brains. Mind training undoes the sticky attachment to the dreamer of this dream, to the ego’s hypnosis that you are a person. Jesus says in the Course, “The message of the crucifixion is perfectly clear: Teach only love, for that is what you are.” It is not the personal self that is teaching love. It is opening the mind to God’s Thought and allowing It to move through what seems to be “you” at this point in your undoing that produces miracles by practicing forgiveness and results in recognizing Who you already are. That is the Joyful outcome of the ACIM purification process. Previous Easter posts from The Unlearning Classroom are: From Crucifixion to Resurrection and It’s Easter–Time to Wake Up!